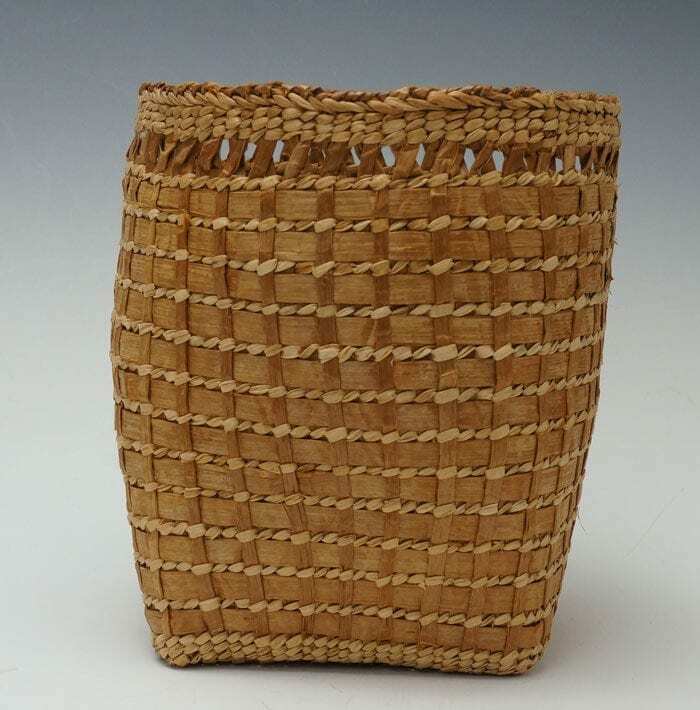 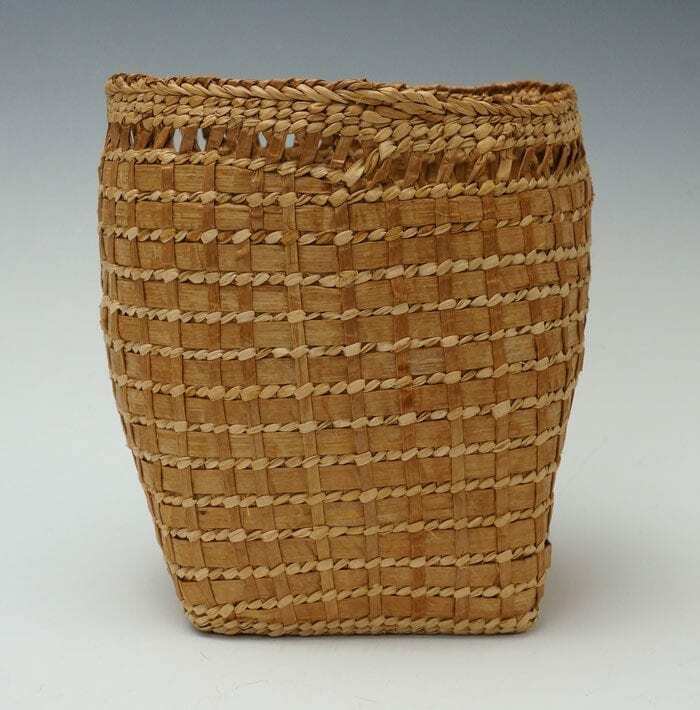 This basket was woven in September, 2000, from yellow and red cedar bark. 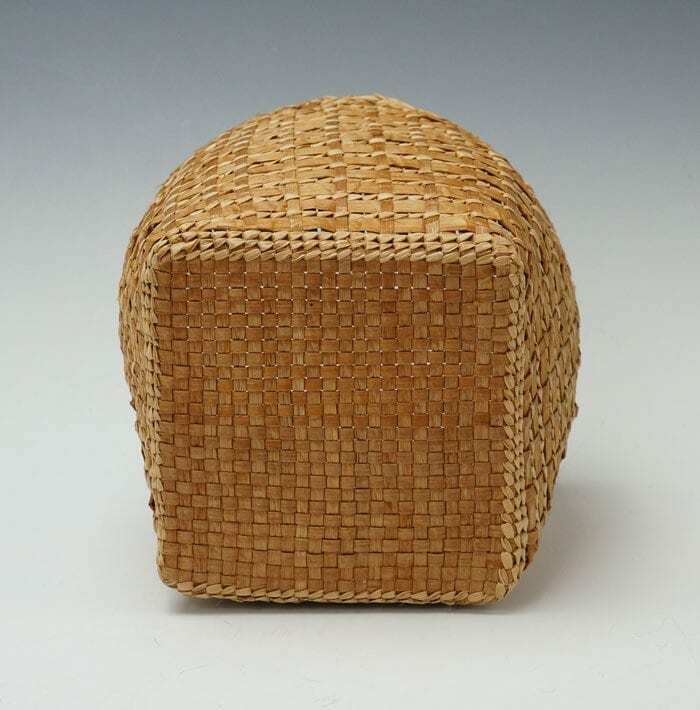 Provenance includes a handwritten receipt and note from the artist. 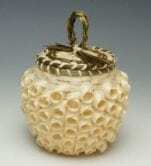 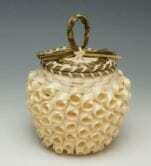 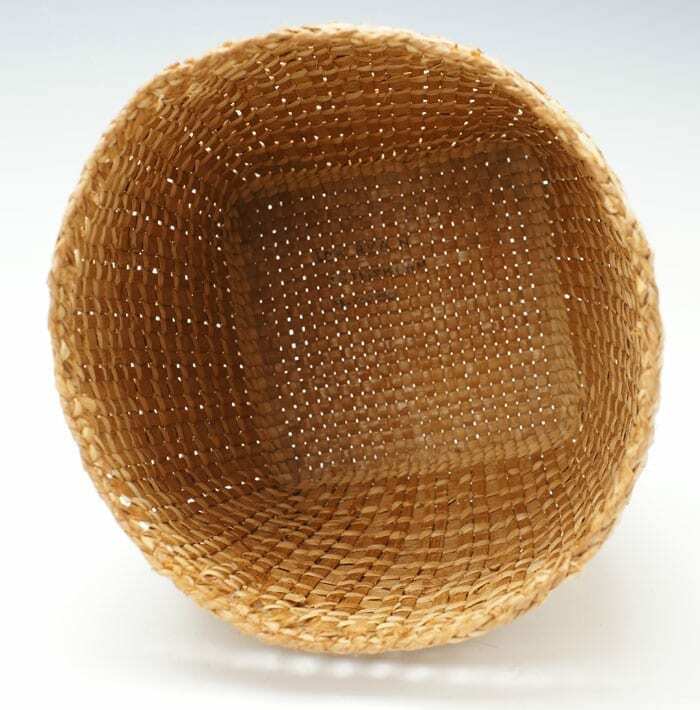 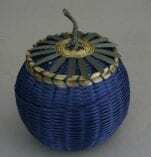 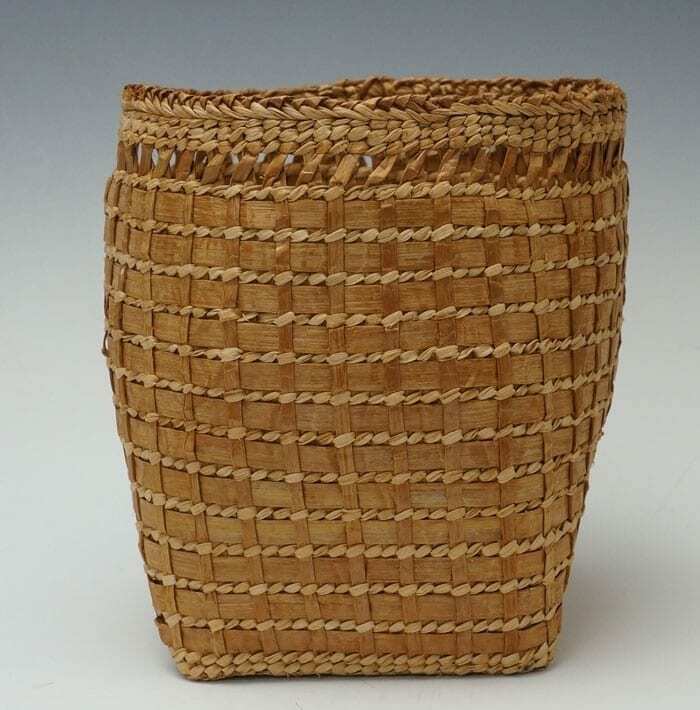 This basket woven in September, 2000, primarily from yellow cedar, with a nice accent of red cedar. 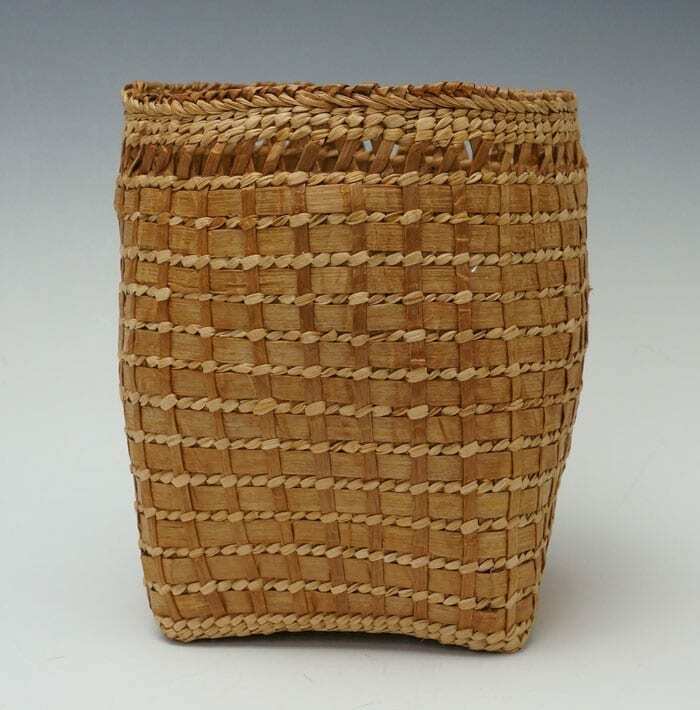 Provenance includes a handwritten receipt and note from the artist.